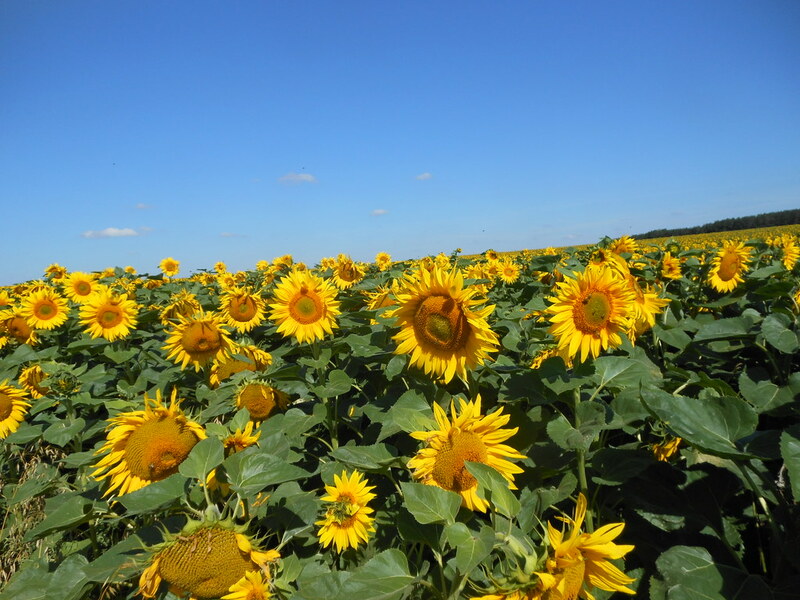 Sunflowers were on one side and sun power on the other as we pedalled out of Znojmo. We have seen a number of medium sized solar panel installations in the past few days. Brilliant sunny day today. At Cisov we were at the entrance to Narodni park Podyji (national park). There were dozens of cyclists and walkers including lots of family groups. 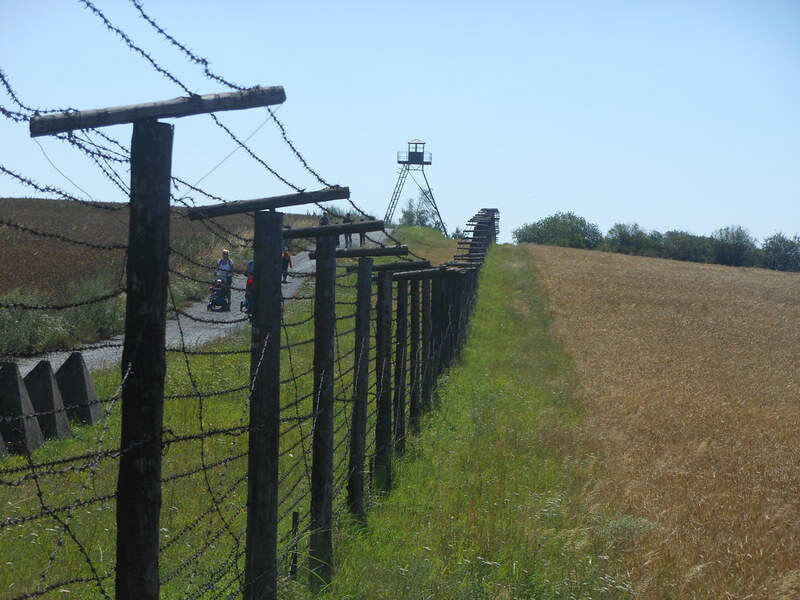 A remnant of the Cold War barbed wire border fence is here as this whole area was No Man’s Land during that era. It’s hard to imagine it now. We rode down the long hill to Hardegg, on the Austrian side of the river Dyje. We call it Hardlegg as we had to ride up again. During our half hour in Austria we received several Grüß Gotts, danke schoens and auf wiedersehens. Our amazing (not) multilingualism enabled us to adapt immediately. Getting lost came next, the result of combining Garmin, topographical maps, the geographical intuitions of two people, multiple tracks and steep terrain. We thrashed about for awhile, got tempted by a couple of seldom trod paths, and eventually were spat out into a lovely meadow on a paved path. We therefore made it to Vranov nad Dyji (impressive castle here). The rest of the route was easy to navigate but hard to ride as we had altogether 3 descents into and ascents out of the Dyje gorge. Overgrown Cold War concrete bunkers are numerous along the road. 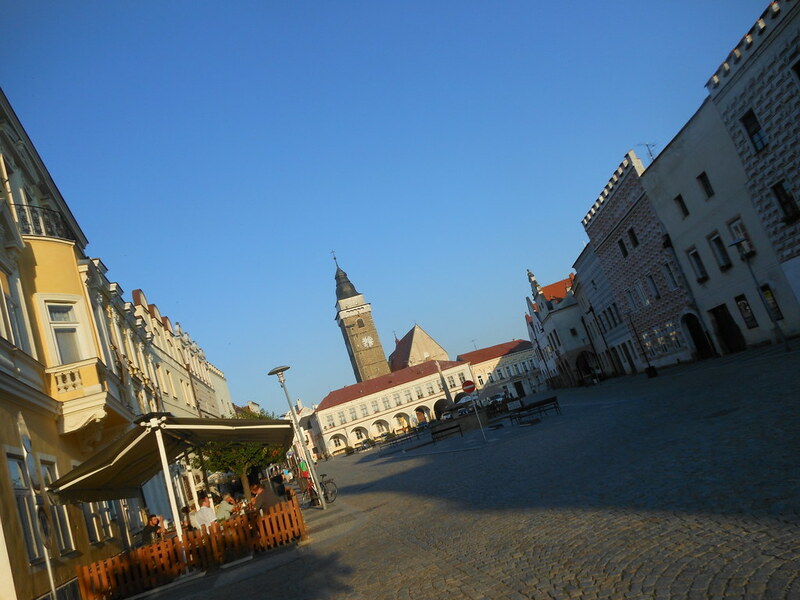 At last we arrived in Slavonice, a beautiful town with many buildings covered in sgraffito from the 1500s. Znojmo – Slavonice by ianwroberts at Garmin Connect – Details. This entry was posted on 23 July 2012 at 7:08 pm and is filed under Czech Republic. You can follow any responses to this entry through the RSS 2.0 feed. You can leave a response, or trackback from your own site.